“I’ll be there in an hour”, I told my friend Muthuraj. 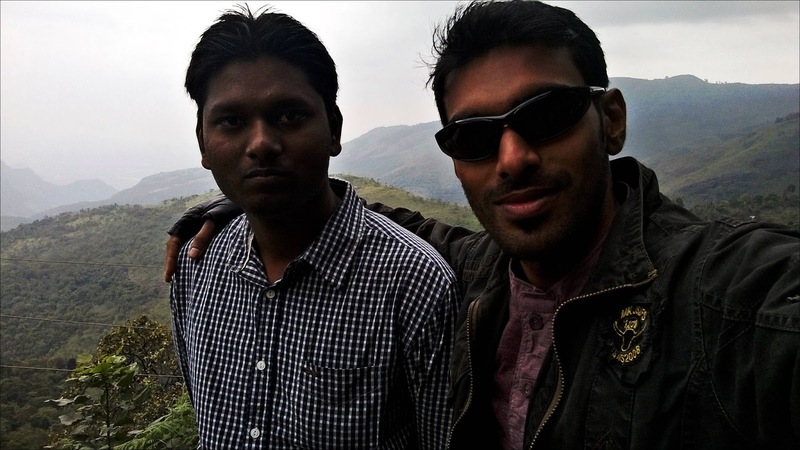 We were to start our trip to Kodaikanal, from Coimbatore on the day of Pongal, (a major festival in Tamilnadu) and I was to meet him at Singanallur from where we’d start the trip. The original plan was to go there by car with another friend who vouched to bring his Wagon R. He bailed out at the last moment, and the plan was about to die. “We’ll go to kodai on my bike”, Muthuraj suggested. Riding a 100 cc bike for two days nonstop, on hills with bad roads? I was a bit skeptical at first. But we decided to go on anyway and started at 9.30 am in the morning from Singanallur. The bike was in a good condition and the odo read about 20,000 odd kilometers. We tanked up for 6.62 liters of petrol, set the trip meter to zero and began our journey, all equipped. We rode to Palani via Palladam and Dharapuram. The roads were smooth, straight and traffic free for most of the part. We could see lots pf pilgrims walking their way to Palani, also called pada yatra. The journey to Palani took two and half hours, with minimal stops on the way. We maintained a constant 60kmph since roads were traffic free. We stopped for lunch at Palani and then resumed our ride to Kodai hills, a full 60 kms of hill ride. The ride uphill was traffic free again, making it fast. We could see 2 -3 riders like us and a few buses going uphill. The roads in the hills were bad for most of the parts, consuming more time of the uphill ride. Palani to kodai hills took us another two and half hours. Now, putting the spotlight on the bike, the passion pro’s chassis handled the bad roads much better than our expectations and also inspired a confidence to push it harder on the hilly terrain. The design of the bike is simple and practical. The dash now features a small LCD screen that displays info like odo, tripmeter readings and fuel indicator. The speedo remains analog though. The other useful touch is the self starter which comes in handy while in traffic signals. 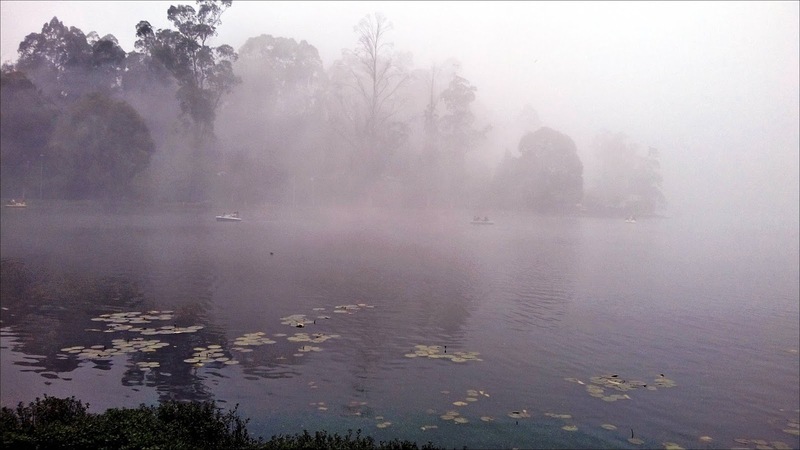 Once we reached kodai hills by 3 pm that day, we checked into a hotel right in the heart of the town, the Grand Paradise inn. The room was decent, we refreshed ourselves and went to see some tourist spots. Since it was already 4 pm, we just visited the Bryant park 2 kms from the town, and the Kodai lake near the park. Both these places were heavily crowded, the reason being the pongal holidays falling on the weekdays, giving holiday- goers a full week of vacations. The park was good, but not as good as the botanical garden or Sims Park in Coonoor. You are bound to compare if you have been to both the hill stations. Cycling is an option to go around the lake, but we preferred walking. 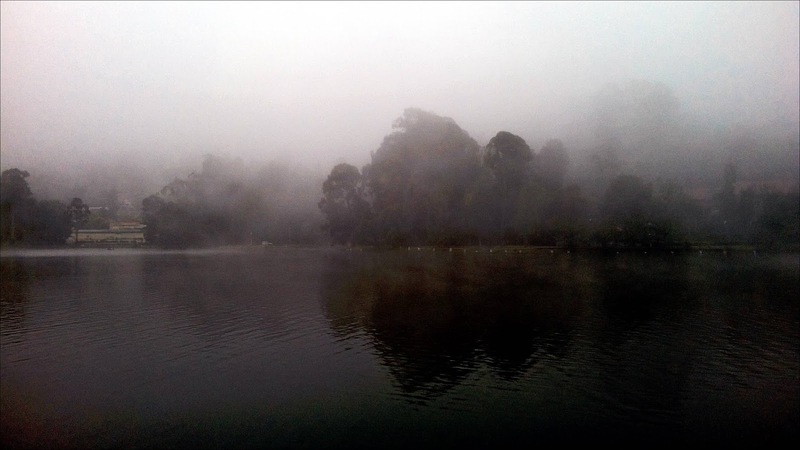 The mist started appearing at 5 pm and it transformed the already cool place to a charming spot. 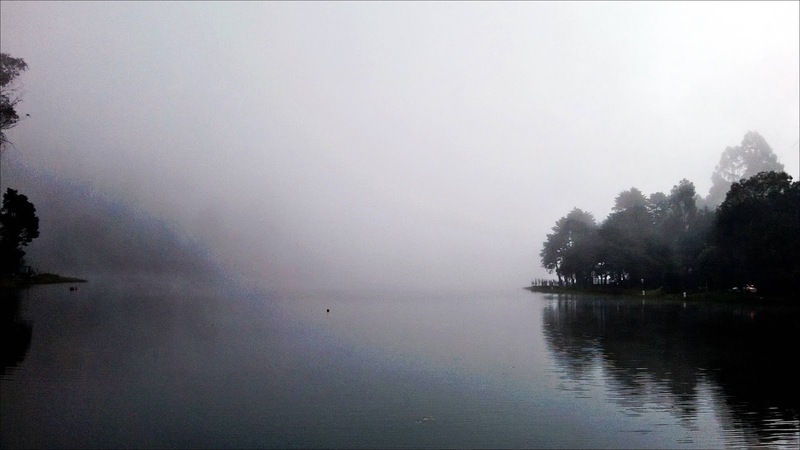 The walk around the lake with the heavy mist hanging around was mesmerizing. 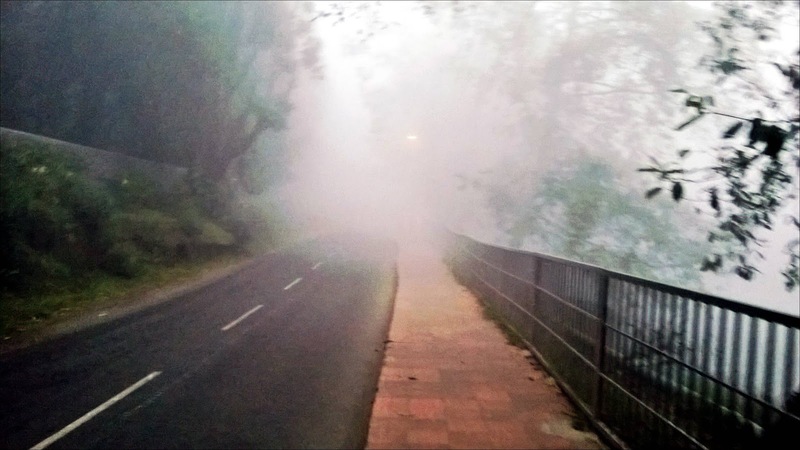 With nightfall fast approaching, the January chill closing in and the mist still hanging around, reducing visibility to a mere 30 meters, we decided to call it a day and headed to our hotel. The next morning, waking up late, freshening ourselves and checking out of the hotel at 11 am, we were on our way to Guna caves, 14 kms from the town. 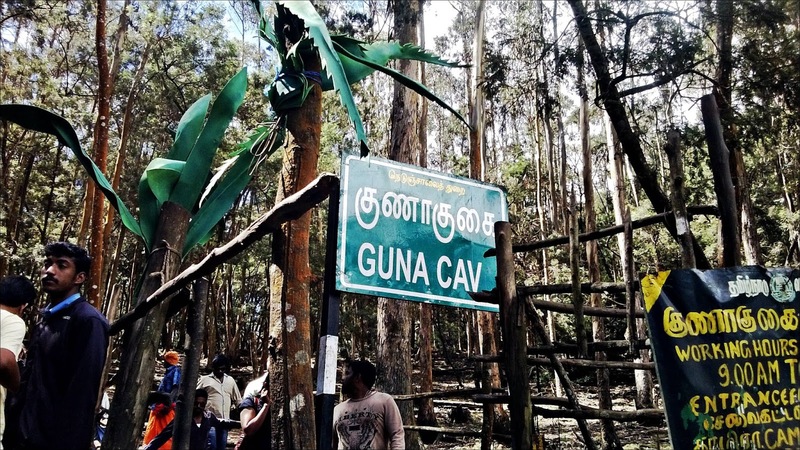 On the way to Guna caves there are the pine forests, which offered a pleasant sight. The mad rush on the spot made it less enjoyable, but the cool ride to the place compensated it. One spot down, our next destination was to visit Chettiar Park and then descend down to Palani and finally home. The park itself is very small and there was nothing much to see. One thing that I noticed was the money they collected in every tourist spot, in the name of entrance charges and don’t maintain the place properly. For example, the 15 rupees they collected at Chettiar Park was not worth it, leaving you a tad disappointed. 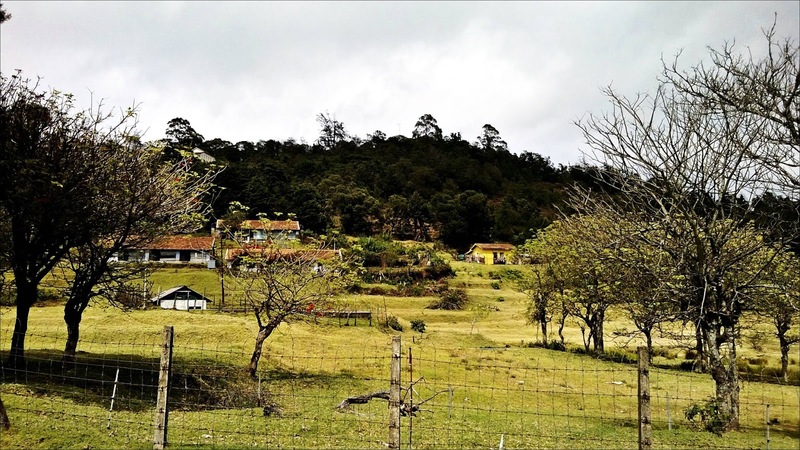 There are lots of hotels and inns dotted along the town and along the way to some tourist spots, making it easier for backpackers without a plan like us. The bike with its air-cooled 4 stroke single cylinder engine was fun to ride and didn’t pose any problems for the whole trip. A minor glitch occurred though, as one of the fuse in the bike went out, blacking out the LCD display and analog speedo. We fixed it with the help of a local mechanic and we were on our way. 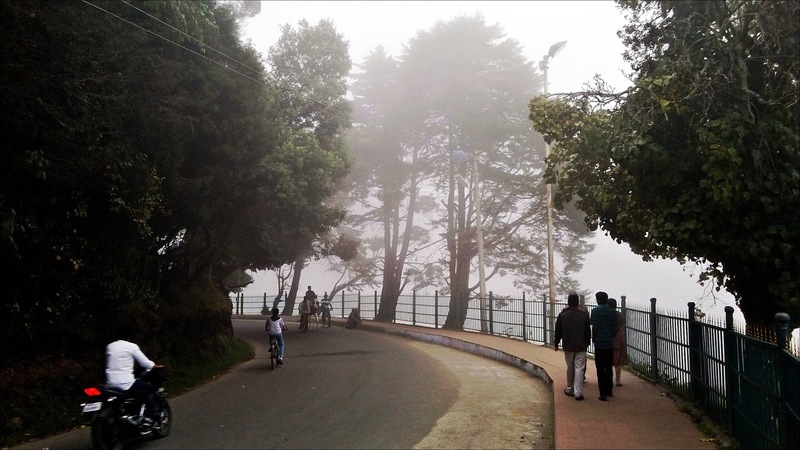 Unlike Ooty with its tea estates and English street names, and houses built in British style, you don’t find anything of that sort in this little hill station. We found eateries like domino's, subway and many other restaurants drawing many customers. Lots of shops selling homemade chocolates, different types of oils, spices were in abundant in and around the town and you have to bargain to get a good deal here. Finally, after our brief visit to most of the places nearby, we began our return journey, around 3 pm after having lunch. We reached Palani at 5.15 pm. The ride downhill was good, but would have been better if the roads were well maintained. I must say the Hero Passion Pro 100, inspired some confidence to ride it fast on the hilly terrain, with its above average handling and performance. We maintained a constant 40 – 60 kmph speed in the plains because above that speed, the bike whines vibrations begin to creep. The weather also remained pleasant throughout and made the ride enjoyable. 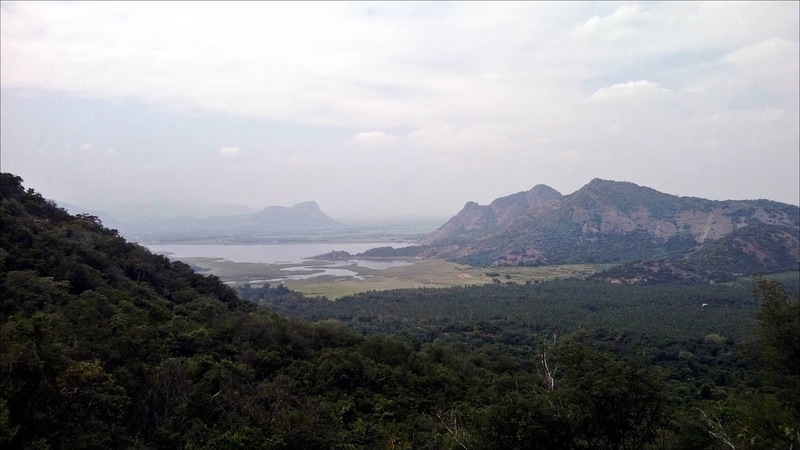 For the return journey, our route was Palani – Udumalai – Palladam – Coimbatore, which took us roughly 3 hrs, since we took minimal breaks in between. Mileage wise, the passion pro 100 gave us an overall figure of 60.6 kmpl. The odo reading after the full trip was 401 kms. We took turns in riding the bike which made us relax a bit and enjoy the ride as well, the cool mountain air doing wonders for us. 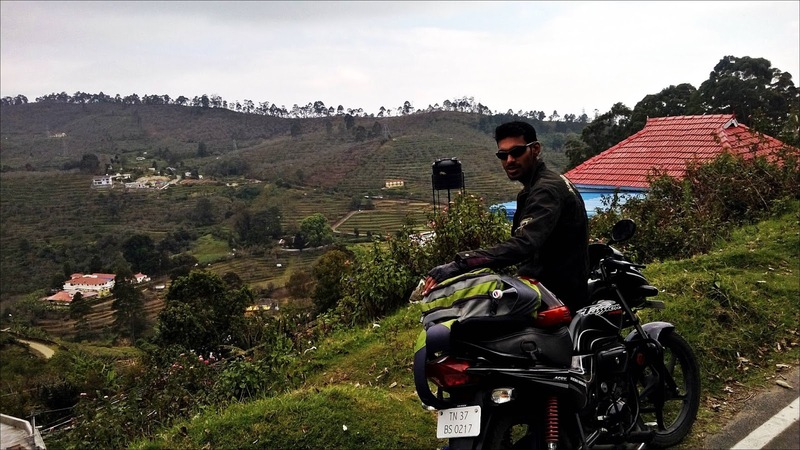 A three day trip to Kodaikanal is enough to see all the tourist spots and this little hill station too, has much to offer for the enthusiastic rider.